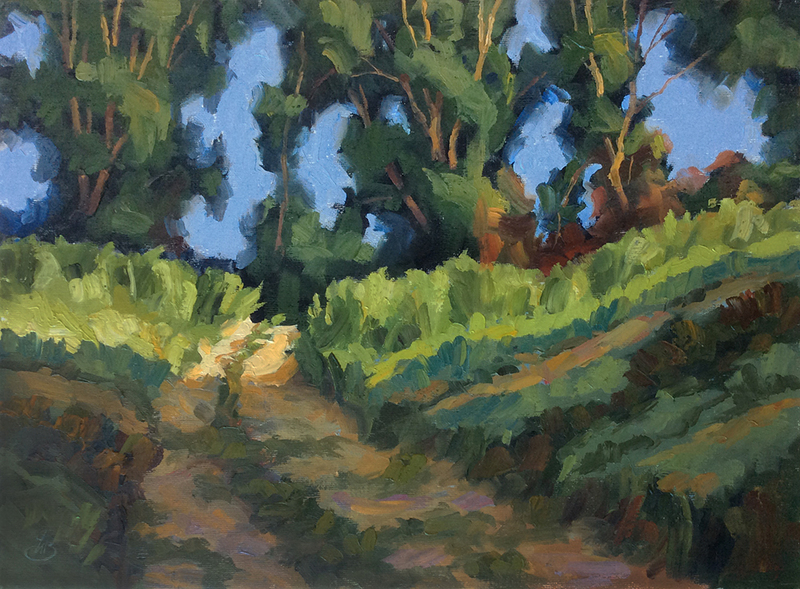 To enter to win Tom's painting, "Road to Adventure" go to Daily Paintworks and click on the link at the top of the page announcing their interview. Tom Brown is a third generation artist. His mother and grandfather were artists and from childhood he never wanted to be anything else. Originally from the Midwest, he has lived in Southern California with his family since the 1980s. He works in the California Impressionist style. 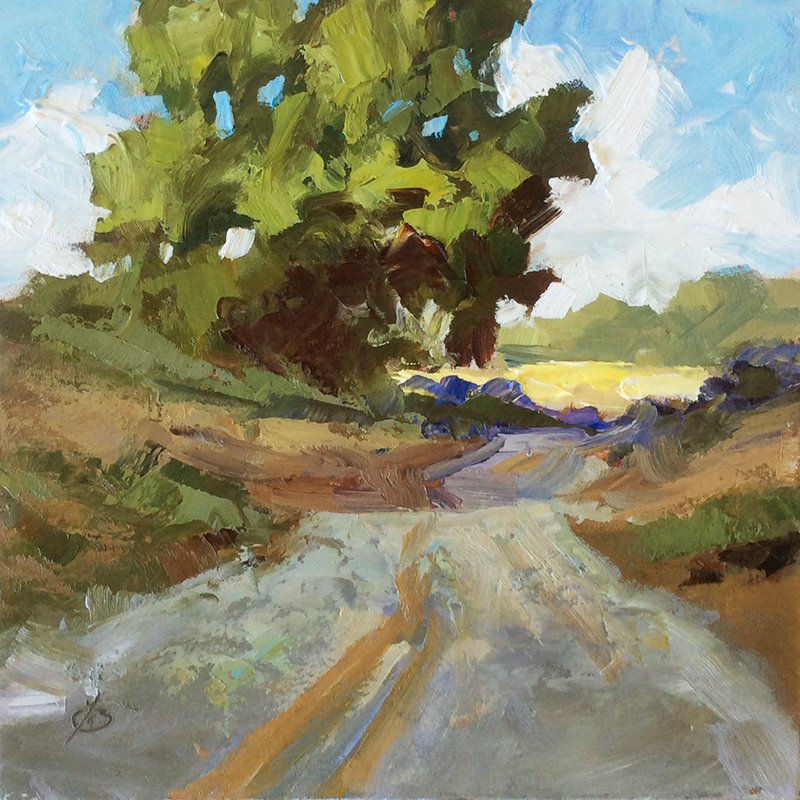 His paintings are known for their bold, confident brushwork that vibrates with energy and strength as they capture the magical light and beauty of the California landscape and other subjects. 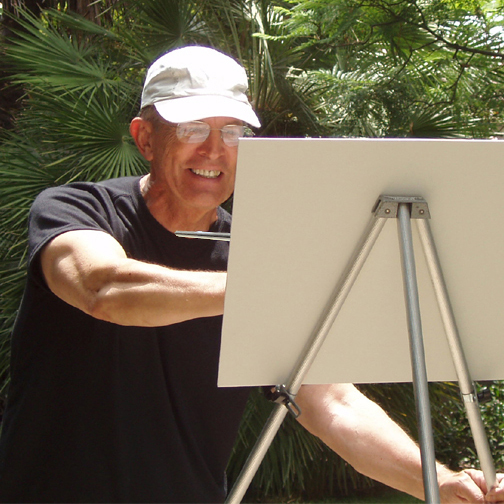 Tom Brown has also hosted a popular California TV show teaching his unique method of oil painting en plein air and in the studio. He continues to share his teaching methods through popular workshops, videos and eBooks. Tom is in frequent demand as a lecturer, demonstrator and judge for Art Associations and gallery openings. A former president of the Orange Art Association, he is a past member of the Laguna Plein Air Painters Association and Southern California Plein Air Painters Association. 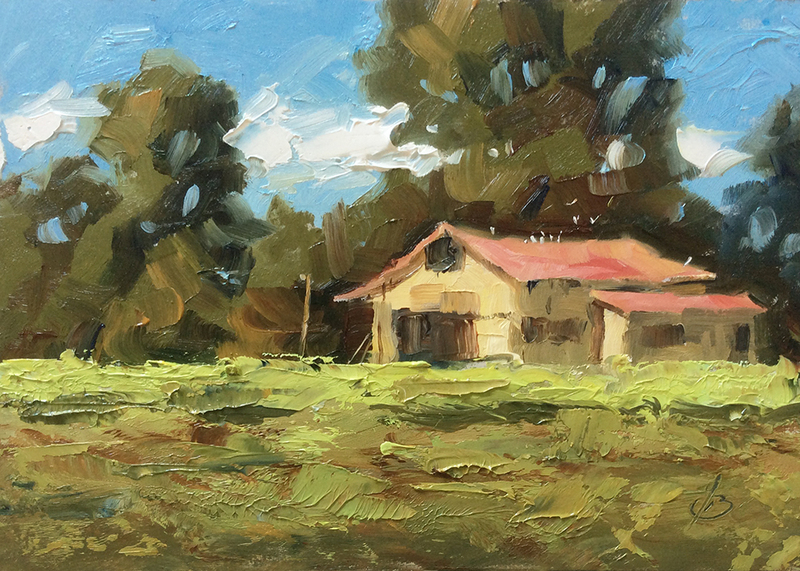 Tom Brown is the winner of numerous awards in oil painting competitions. His work has been represented through prominent galleries nationwide for more than 20 years, and his work has been seen in many major art publications. Like so many others I always saw myself as an artist. But I thought it wasn’t possible to make a living selling in galleries so I began my art career as an advertising artist. During that period I had the tremendous good fortune to work alongside some of the best artists in the business and I learned a lot from each of them. During that time I also continued to paint in my spare time. Enter to win by clicking on the link at the top of the DPW home page announcing Tom's interview. I entered a local art fair once and during that day I happened to be discovered by a gallery owner who asked to represent me. That was the start of something grand! Within a month sales were so hot that I was given a one-man show. It virtually sold out on opening day. I left advertising and began approaching additional galleries to broaden my base. That led to being represented by top galleries in 9 states for 20 years. And of course I eventually began marketing my work online. I paint every day. I love to get outside and paint directly from nature, and when painting on location I enjoy creating smaller pieces that can be completed in one session. I usually offer these smaller works online at very affordable prices, which is practical to do because I’m very prolific. Frequently these smaller paintings lead to commissions. Commissions are a major portion of my work. Collectors who purchase smaller paintings often come back soon asking for larger works because they like my style. Many of my collectors continue to return year after year for more of my work. Because the internet enables us to show our work to the whole world so easily I think there has never been a better time in history to earn a living as an artist. Virtually all of them. As an advertising artist I learned to work with a wide variety of mediums. We used whatever medium necessary to produce the best results for our clients. And our subjects were dictated by the client’s needs: figures, products, scenics, whatever was requested. It opened my eyes to the possibilities of nearly anything as a subject for art. 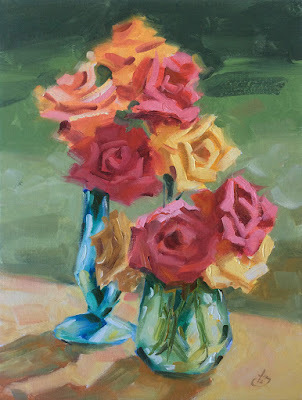 Oils are my favorite for painting because they are so flexible and easy to use. I usually have a pre-loaded pochade box in the car whenever I go anywhere, just in case I spot something to paint. And I am never without a sketch pad and pencil. I sketch constantly. Anything and everything, including people in public places like airports, coffee shops and restaurants. So watch out if you see me; you may find yourself in my next painting! I’m always open to new mediums, and I’m willing to try anything that seems to have potential for expressing my vision. Some work for me, some don’t suit my style even though they may be perfect for another artist. But I feel it’s important to be open to trying new things in order to continue to grow as an artist. Mary Oliver wrote something that sums it up for me, “Pay attention. Be astonished. Tell about it.” I find beauty everywhere, in commonplace everyday things as well as scenic grandeur, figures, animals, still lifes, whatever. And I “tell about it” through my art. I haven’t gotten around to it yet. I keep planning to procrastinate, but there’s too much to do. Morning is my best creative time, so that’s my time for art. I’m up and out the door with my paints first thing. I paint in the studio if weather doesn’t cooperate or if I’m working on commissions. Afternoons are reserved for what I call “drone work” that doesn’t require creativity. Chores, errands, bookwork, packing and shipping sold work, etc. Ideas seem to be everywhere; it’s just a matter of paying attention. I see more things every day than I’ll ever have time to paint. I’m constantly exploring new subjects, materials and other ways to improve. And I share those things in my videos and the workshops I teach. If an artist isn’t trying anything new, they aren’t growing. If it doesn’t stay fresh and exciting it would become a job. For me art isn’t work, it’s more like self-indulgence. I am always looking for anything new that offers possibilities for growth. New mediums, new ways of approaching subjects. I see art as a lifelong adventure, and it’s a constant learning process. The joy of doing it tops the list. I’m also delighted by the response from collectors, especially when they continue to collect my work year after year. Clearly we share the same vision of the world, and I love that we can connect this way. 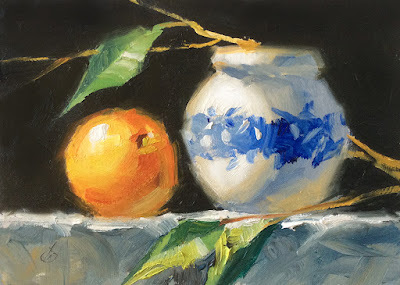 I also love sharing what I’ve learned with other artists who take my workshops. I find it very rewarding to see them grow in their abilities and enjoyment of art.